This is an initial (unboxing & assembly) review … I’ll update after the machine has been in service for a few months. 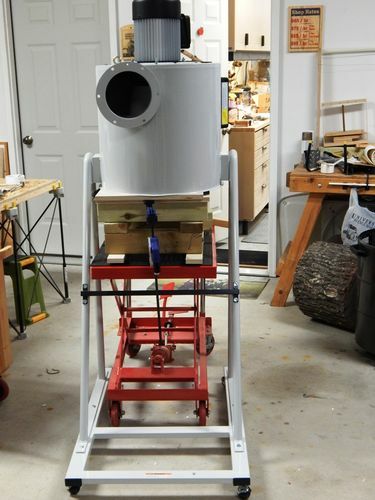 The machine arrived at the local Woodcraft store on a pallet, and weighed in at 106 KG (a little over 233 pounds). 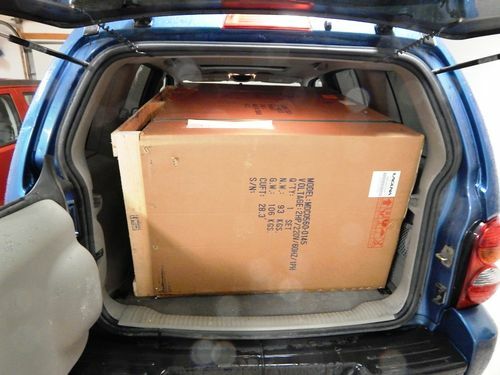 We got the shipping container ( 45” x 26” x 38”) to fit into the cargo bay of my Jeep Liberty with a little finagling (and a few well-chosen words). I have a pneumatic table and a very patient wife that were invaluable in unloading it in my garage. At first, the task of assembling the beast seemed daunting, but aside from the weight of the Main Housing Assembly (which includes the impeller and motor), assembly went pretty well. Laguna warns that the main housing assembly is heavy, and suggests you have at least 2 people working together when lifting it into place. My wife is a great helper, and with the pneumatic table, some plywood, and 4×4’s, we managed to get the motor assembly mounted on the stand and attach the bottom cone. I would have rated the unboxing & assembly 5 stars but for a glaring error in the manual. Though Laguna includes 4 strips of foam tape, the manual only addresses installation of 3 of them. The manual makes no mention of any sort of gasket or foam tape around the flanges that connect the main housing assembly and the canister filter. I recall that previous reviewers had complained of air leaks between the main housing and canister. I used the 4th strip of foam tape to form a gasket around the flange. I have a little prep work to do before I move it into the shop … more on performance after I have it in operation for awhile. 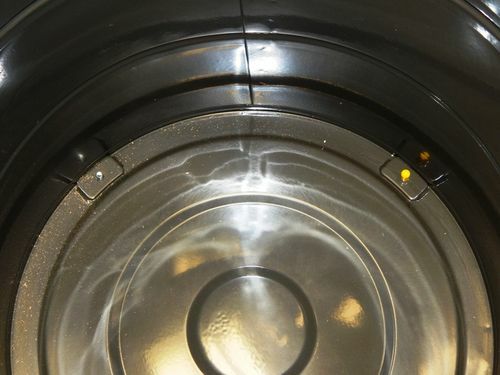 The bin has four threaded casters that screw into the bottom of the bin. 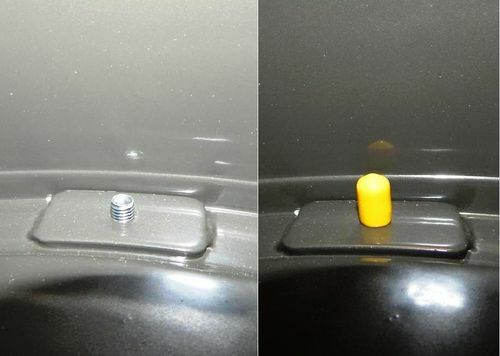 This results in about 1/2” of the bolt threads exposed inside the bin … several prior purchasers of this machine warned that the threads can tear bags (the bags cost about $3.50 apiece and are ‘reusable’ so you don’t want to risk tearing them). The solution was simple … a couple of minutes with a keyhole saw and the bottleneck is gone! This unit has been discontinued by Laguna, so this addendum to my review is ‘for the record’ and to forewarn anyone who is contemplating buying a used one on the second hand market. Overall, performance has been acceptable, with two problems … one minor and one major. The minor problem is the 12” hose that connects to the cyclone cone to the barrel lid. 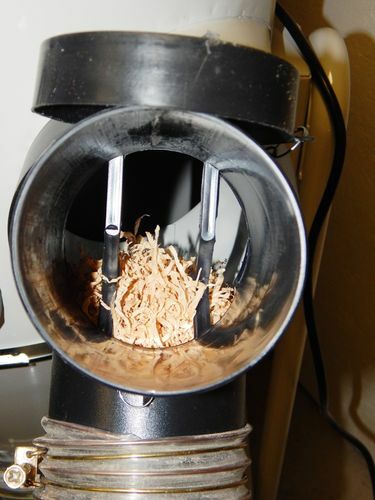 Swirling chips and sawdust act like an abrasive that wears away the inside of the hose material. The end result is that the hose starts spraying fine dust into the air. As of today (September 13, 2018) I have replaced this hose twice. The original crapped out after about a year of use, the replacement lasted about 2 years. The cost to replace is about $40 including shipping. I weighed my alternatives. Buying a new machine is not in the cards right now. 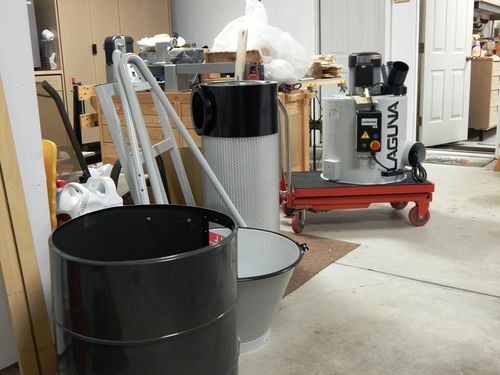 A local motor shop might be able to rebuild the motor, I would be without a dust collector for a period of time when I need to get into production mode for holiday sales (the bad motor runs, so I can get some work done). So I did the unthinkable … I ordered a replacement from Laguna. Maybe I just got a lemon, but this makes me leary of buying any other Laguna tools. This is not a consumer-grade machine, and for the motor to go out after less than 3 years is not acceptable … especially when it sat unused for 4 months while I was recovering from open-heart surgery. Who came in Second in your ‘choosing’ field? Who came in Second in your choosing field? Next on the list was a JDS 2100-CKV and a Jet 421814 ... both 2hp systems. With Woodcraft’s sale price and no shipping, the Laguna cost me at least $280 less than the others with approximately the same specs. I put a 5HP Clear View together all by myself at 10 or 12 from the ground. That was crazy and heavy. I know what you mean … I’m feeling it today! I have this DC and I think it works pretty well. I put it on the other side of a concrete block wall separating one side of my shop from the other, the remote works great and it makes things much quieter. Gerry, do you know the country of origin? (the printing on the box has that Chinese font). Sharp looking unit, Looks like that pneumatic table paid for itself! Gerry, do you know the country of origin? And the pneumatic table has been a life/back saver many times over. The max table height is perfect for the bed of the Jeep … bags of concrete, fertilizer, lumber, machinery are all easy-peasy to deal with.